Active rest is a necessary condition while living in such a huge and busy city like Moscow. City is full of fitness centers, bowling, pools, skating rinks, tennis courts and places to go in for climbing. Parks have become popular places to have rest, because they offer many activities for your entertainment and health. Volleyball, handball, football, tennis or a peaceful jog around the beautiful surroundings. Bicycle paths, ping-pong, dance classes and many other things available. Most of them are free. Also, a big amount of workout has appeared in Moscow recently. 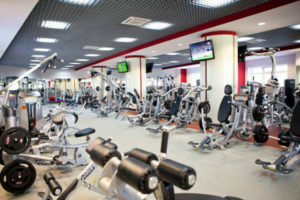 Fitness Centers is a mix of means to stay fit and find the inner harmony. Most popular in Moscow are World Class, Dr. Loder, X-Fit, Hard Candy and Zebra. They all have the full set of body treatments, spacious halls for choreography and aerobics, well equipped gyms, huge playing grounds and swimming pools. Yoga is a very popular thing in Moscow. Great places to try it out are Ashtanga Yoga Center, Prana Yoga, YogaDOM, Kerala, NYM and Yoga Class. Chaika – the legendary outdoor pool with two bathrooms was opened in 1957. The pool is located in the center of Moscow, near Ostogenka Street and Park Kultury metro station. Today it remains one of the most visited and picturesque pools of Moscow. The pool is rather expensive and has some minuses, but very atmospheric. During warm season, the tribunes of the pool are turned into a beach. Olympiysky Pool is situated near Prospect Mira metro station. Once it was one of the main pools of Moscow, including on carrying out the largest international competitions. It has three bathtubs and offers a number of additional services: sauna, water aerobics, training in swimming, etc. 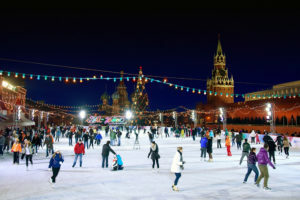 The long Moscow winter create excellent conditions for the outdoor ice-skating. The fun time begins in early December and lasts up to March. However, there are some indoor places too, so you can enjoy skating 365 days a year. The most of Moscow parks and ponds turn into a fairy-tale with boundless skating rinks, disco lights and popular music. This is a wonderful time when you can spend evenings doing your favorite leisure sports while visiting famous landmarks. Red Square Skating Rink, Gorky Park Ice Rink, Patriarch’s Ponds Ice Rink and Hermitage Garden Ice Skating Rink are the biggest, the finest and the most popular. Indoor skating rings are usually located inside huge sport arenas. Most popular are Krylatsky Skating Palace, Megasport on Khodynskoe Pole and CSKA Sport Palace. Rock-climbing lovers can do this sporting activity on rock climbing walls located at sports schools, large entertainment and sporting centers. 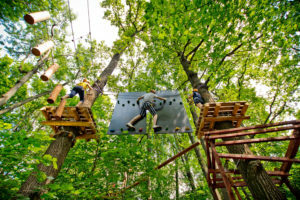 Following places are considered the best in Moscow: The Palace of Children’s Sport, Skala City, Bauman’s MGTU, rock-climbing club Extreme and Skalatoriya. Tennis is one of the most popular sports in Russia. 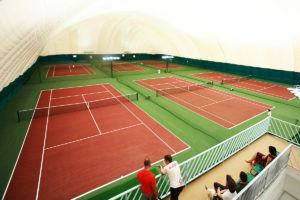 There are a lot of places – indoor and outdoor courts – to rent a court and enjoy the game or take tennis lessons in Moscow.